Walk right in, sit right down and start living the wonderful Wailea Life Style! If you come in from the street level, it is all on one level. If you park in the garage, you walk up one flight of stairs inside the house to get to the main floor and then youâre all on one level. Great floor plan with two bedrooms, ensuite baths and an Office/den/library/game room on one side of the house and the Master suite on the other side of the house. Farrington design with sliding Fleetwood doors that open everything up to the ocean, West Maui Mountains and the famous Wailea Old Blue Golf Course. Seamless flow from inside to outside living Hawaiian Style. Lots of lanais-viewing platforms to see panoramic views of the ocean and spouting whales. Huge heated pool to frolic in or do laps-your own little Resort. Short walk through the hedge to Manolis for Lunch or Dinner. This comfortable home was just painted inside and out and is fully furnished right down to the silverware and is available for a quick closing. Kitchen and bathrooms beautifully remodeled. This home is Air Conditioned or turn on the stunning fans or open all the doors and let the Trade Winds blow through. Photo Voltaic panels galore on the roof that, because of net metering, give you electric bills as low as $20/mo! Call your favorite Realtor and come see it! Easy to see with very short notice. 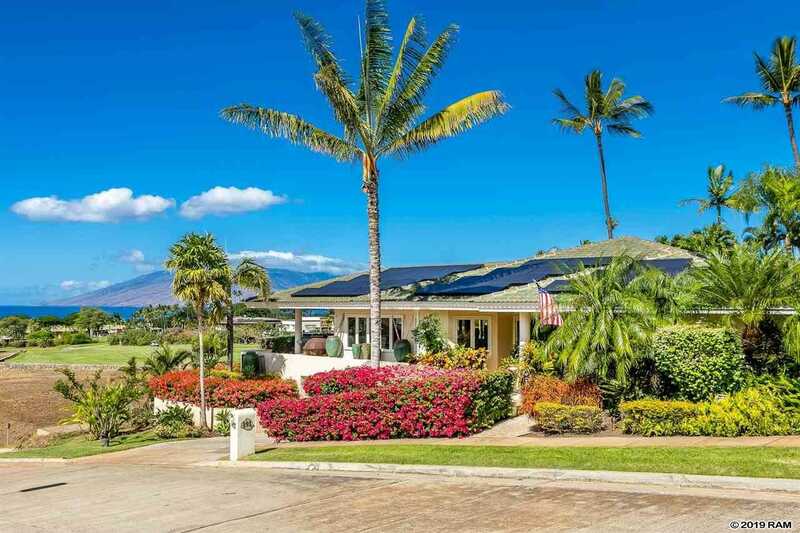 Please, send me more information on this property: MLS# 382236 – $3,750,000 – 191 Lolowaa St, Kihei, HI 96753.